After a successful 2018 with producing various genre films and trying their hands at different kinds of cinema and entering the 100cr club, Bhushan Kumar’s T-Series has gradually established itself as a production house which delivered a wide range of variety on the silver screen. The new year is surely going to be action-packed as the production house is all geared for its forthcoming releases. T-Series continues to back different genre of films with its 12 to 15 releases this year such as De De Pyaar De, Kabir Singh, Bharat, Batla House, Tanhaji, Netro, Marjaavaan, India’s biggest dance film and so on. Along with the new films, new talent will also be launched under the banner of T-Series which has always been Bhushan Kumar’s aim. The films which are a mixed bag of medium and big budgets ones have been in the planning stage for an entire year collaboratively with respective co-producers. This is the first time ever that one Indian production house has as many as 10 films on floors in a month. Starting in 2019, T-Series has 11 films on floors just in India. This is a result of rigorous planning for the entire 2018. 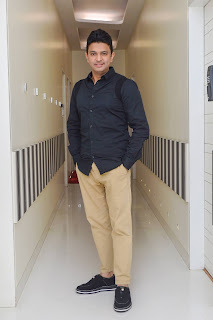 While Bhushan Kumar and his team were already busy promoting their releases last year, he was also managing with his team the pre-planning stage of all the films that went on floors this year. The hands-on producer credits his team and co-producers for efficiently supporting and helping him. The T-Series head honcho made sure the teams were in place to stringently manage time, finance and production quality and was personally involved right from the pre-production stage of the on-going projects ensuring the shoot goes smoothly. Presently, the shoot of the films are taking place simultaneously in Delhi, Amritsar, Mumbai, Mussorie, Nagpur and Cochin with top A-list actors such as Salman Khan, Katrina Kaif, Ajay Devgn, Shahid Kapoor, Kiara Advani, John Abraham, Rajkummar Rao and Fatima Sana Shaikh, Amitabh Bachchan, Sidharth Malhotra, Tara Sutaria and Riteish Deshmukh, Varun Dhawan and many others. 2019 not only marks a strong year production wise for Bhushan Kumar, but his duties towards making great music remains is his biggest passion just like his father. The man with the musical midas touch has adapted to the new age music scenario and has been continuously delivering hits right one after another and is exploring different genres of music. He started the year by exploring a new non-film concept like Electro Folk which will soon be followed by season 2 of Mixtape.